Table saws are handy tools you need in your toolset whether you’re new or an expert in making DIY projects. If you’ve been avoiding buying one just because they are expensive, this Black Friday is the right time for you to finally get your hands on one. 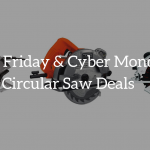 We have summarized the best table saw deals found for this Black Friday & Cyber Monday. 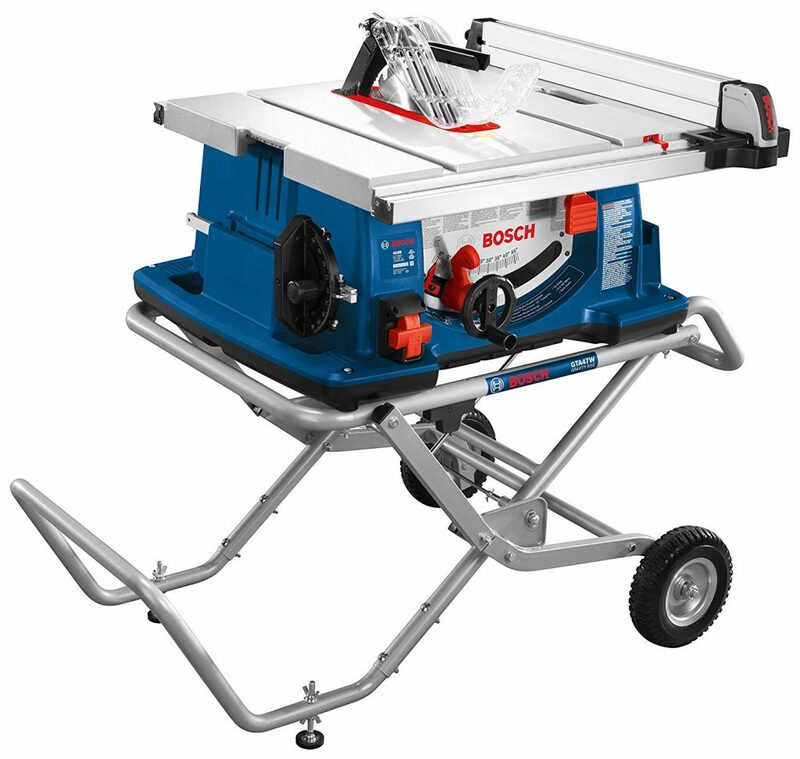 This particular table saw from Bosch works really well on both fine and rough carpentry materials. And with a smart guard system, you won't have to worry about blade contact while you're working. Additionally, it also has a soft start circuitry which means that there's a less chance that it will trip your circuit breaker. With a large cast aluminum top, you'll have enough space to work on. And if you worry about portability, this tool is actually lighter than most brands. Get it this Black Friday and enjoy great discounts! 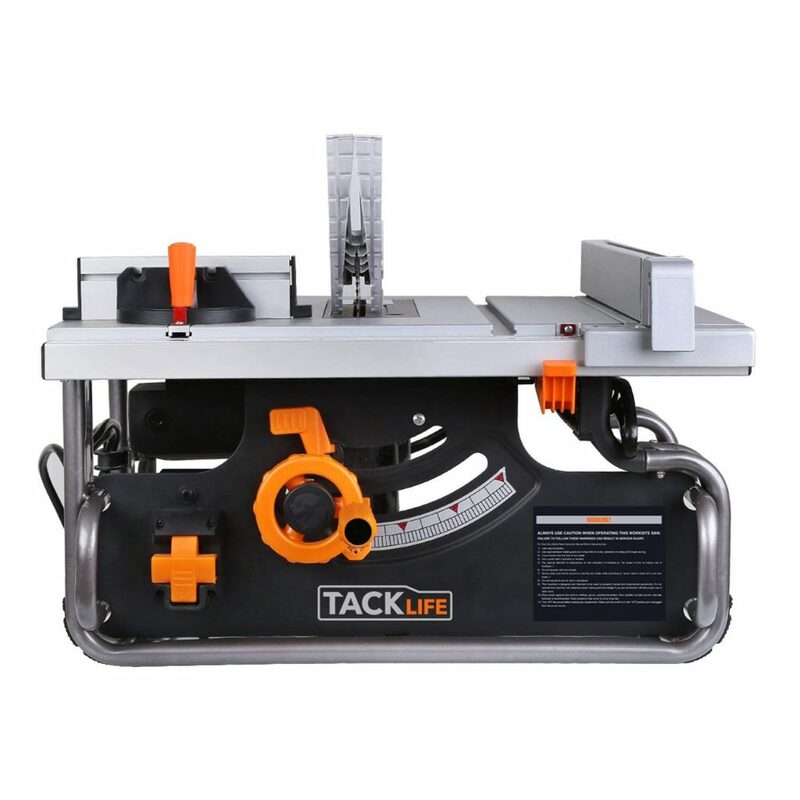 Tacklife Table Saw comes with a 15-amp motor that's capable of delivering 4,800 rpm. You'll find it reliable in making quick cuts even if you are working on hardwoods. It also has this onboard storage so you can easily access your other tools and accessories. This table saw isn't just durable but it's stable and robust too. It has rubber-wrapped metal handles so you can transport and move it around with ease. You can save as much as $46 when you purchase it this Black Friday. 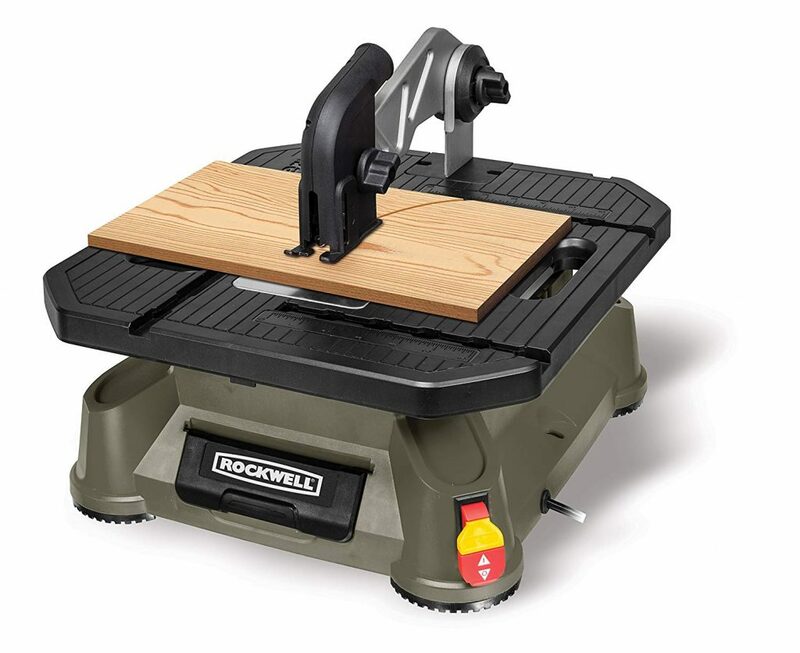 Rockwell BladeRunner X2 Portable Tabletop Saw is on sale this Black Friday. With a 30% discount, you'll get as much as $36 off its original retail price.Now, why should you get it? This table saw is both compact and portable. You can take it with you practically anywhere. It weighs less than 15 pounds and it has a built-in tabletop handle which makes it a breeze to move around. It also has a vacuum port, miter gauge, and a hold-down guard so you can work with better control. 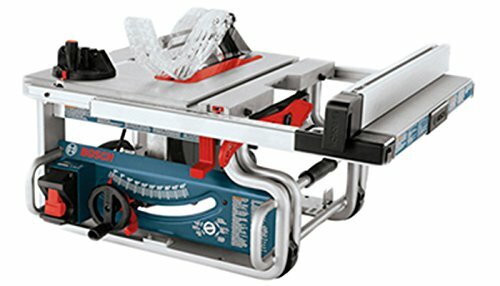 This particular table saw features an aluminum table top and an extension so you'll have enough space to do your projects. And the best thing about it is that it's really easy to clean without compromising your safety. Its blade retracts so you can clean up the table top without problems. You can get this amazing power tool at 9% less than its original retail price. If you want a table saw that's portable, precise, and tough, you can't go wrong with this one. This power tool offers great mobility, thanks to its one-handed carry handle. You'll be able to take this table saw no matter where your job site is. With a square lock rip fence, it allows you to stay consistent as you glide your saw on your material. In terms of durability, it won't let you down. It has an all-steel base that can withstand heavy impact. 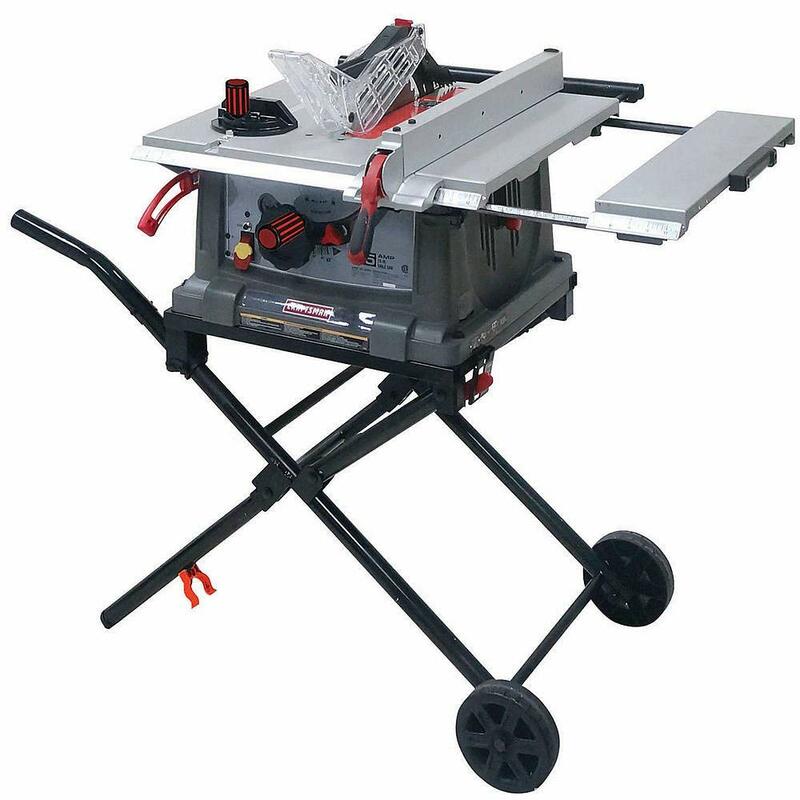 For a table saw that's plain and simple, get this one from Craftsman. It features a sheer table top which allows you to get a smooth cut with each use. It has a 15-amp motor that can power through tough materials with ease. It is durable, accurate and steady which are exactly the things you need in a table saw. You won't regret purchasing it. Be sure to take advantage of this Black Friday & Cyber Monday bargain. The Craftsman power tools are very popular among DIYer. 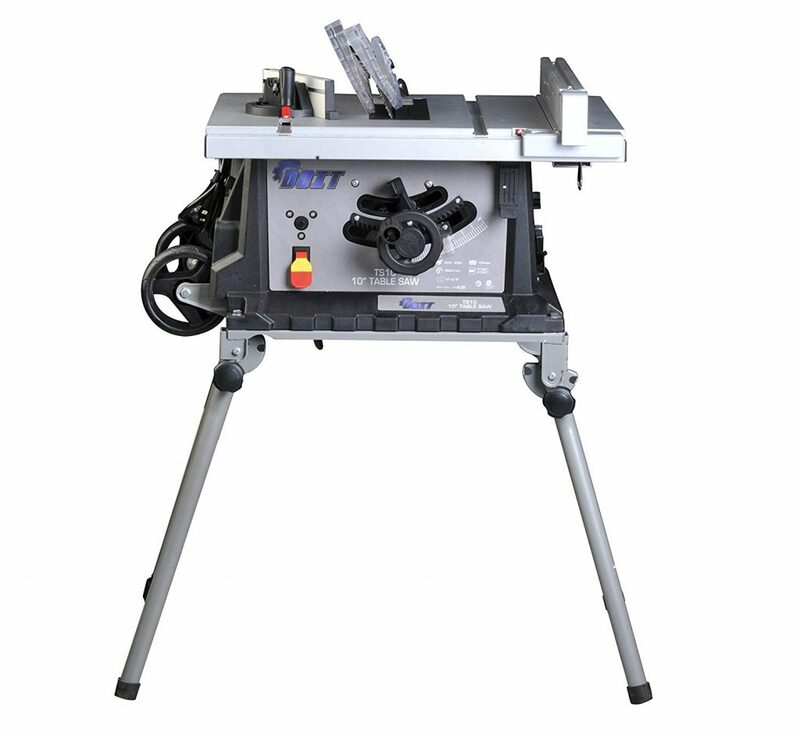 This portable table saw cuts accurately and has good power for such a light saw. It is foldable which is good if you have a limited space at home. At its right side, you'll find an extension table which is enough for most cutting projects. The table saw also has an onboard storage where you can keep your miter and other tools. 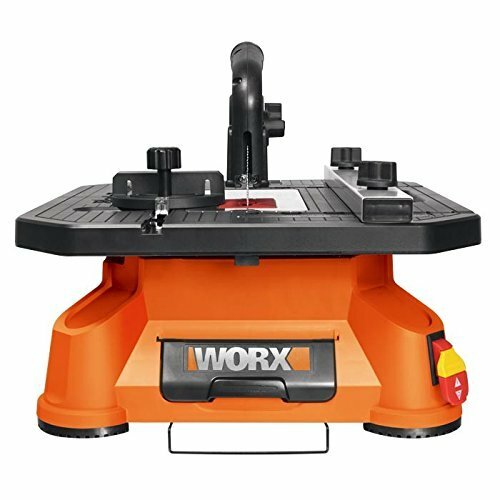 WORX WX572L BladeRunner X2 Portable Tabletop Saw is super easy to set up. With a traditional guard and an impressive riving knife system, you can rely on it in making crosses and rip cuts with ease. And for your safety, it has a safety switch that prevents accidental start. 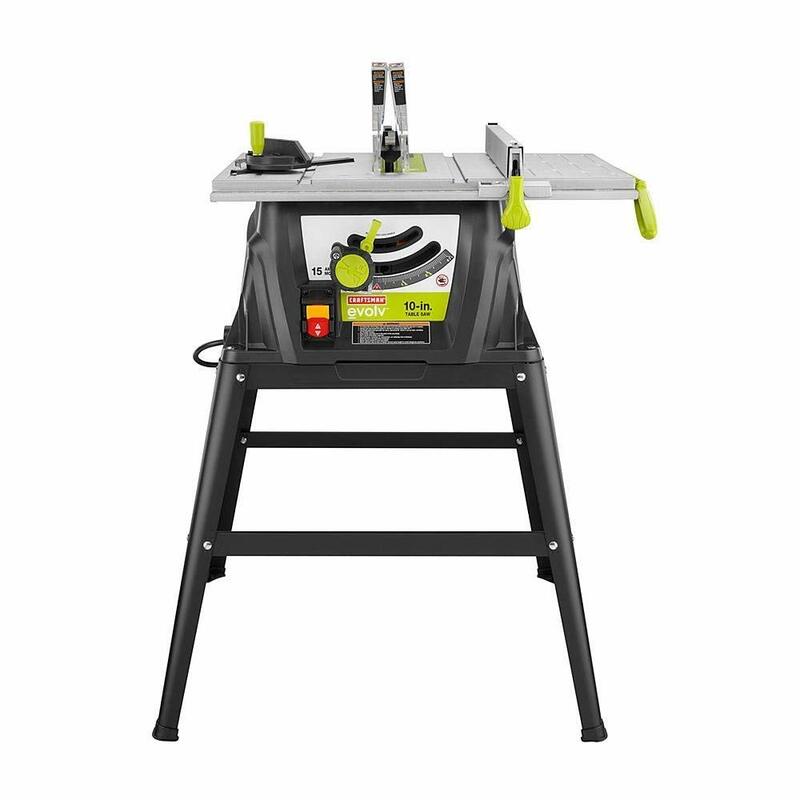 Get this table saw this Black Friday sale and save $32! 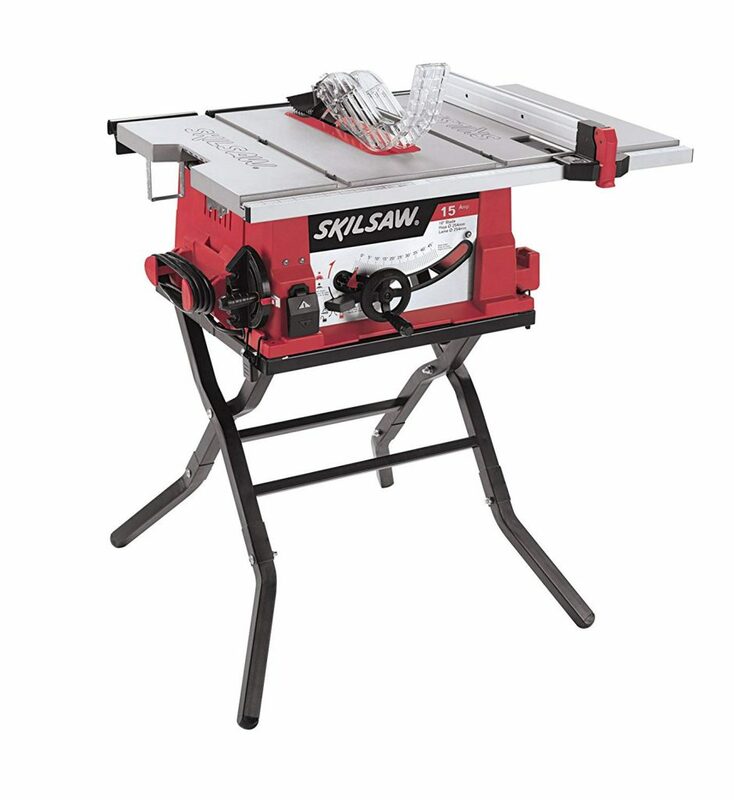 Ainfox 15Amp 10" 4800/min Speed Table Saw has a cast aluminum table that allows you to work on longer pieces. 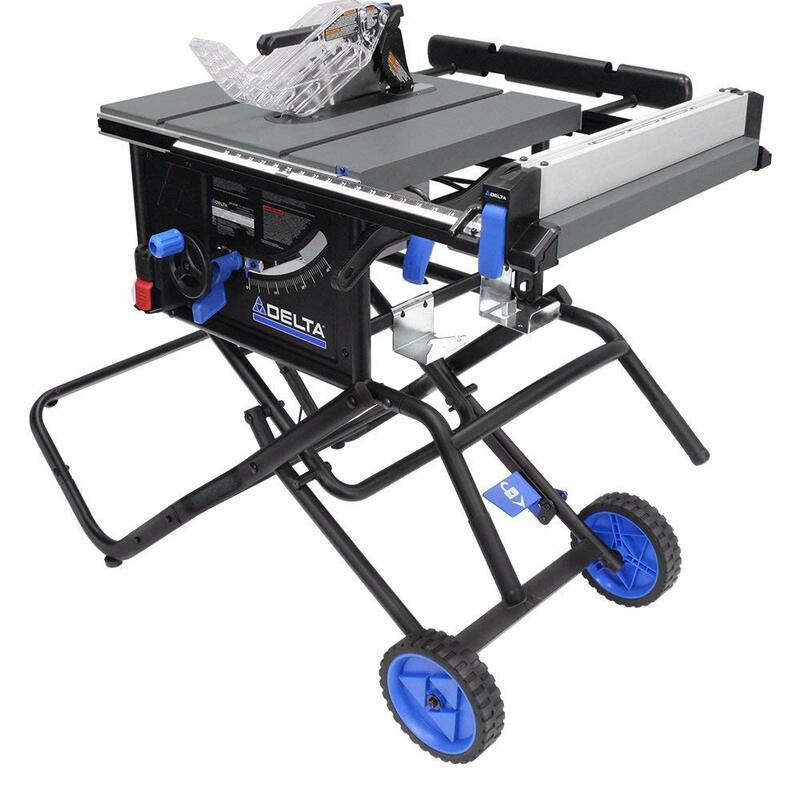 It has a foldable stand with wheels so you won't find it hard to move when necessary.This table saw also comes with an external overload protector and a transparent blade cover to keep you safe. And to extend its life, the machine also has an integrated dust collection port. SKIL 3410-02 10-Inch Table Saw with Folding Stand might be last on this list but it doesn't mean that it's the least reliable in performing tough work. In fact, it's actually a heavy duty machine. With a 20x26 cast aluminum table, you'll have enough space to work on your pieces. With an EZ view measurement system, it will be easy for you to stay within your required measurements. Table saws don’t really have to burn holes in your wallet. As long as you know what you want and what projects you are planning on using it on, you’ll be able to make the best purchase that meets your budget and needs this Black Friday & Cyber Monday.